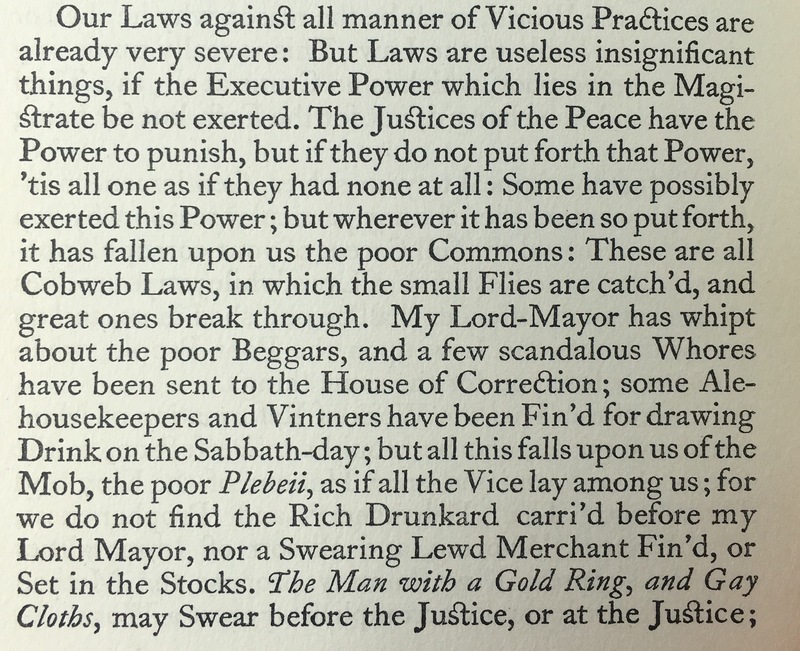 Defoe, as a good Protestant, was of course keen to remedy the ‘torrent of vice’, ‘venal crime’ and ‘Epidemick Distemper’ that afflicted the nation with ‘wickedness’ (The Poor Man’s Plea’ 1698 [1926: 1-2). Against lewdness, debaunchery and sport on the Sabbath, he takes the side of the ‘Plebeii’ who are no differently equipped than the Dignitaries, excepting in terms of quality and estates. Noting that vice and the Devil are good levellers (4), he objects ‘against setting any poor man in the stocks, and sending them to the house of correction for immoralities’ considering this a ‘most unequal and unjust way of proceeding in the World’ (5). P6 of the 1926 reprint – The Shortest Way with the Dissenters and other pamphlets, Oxford: basil blackwell. Both informers and judges are guilty of the same crimes for which the poor are sent to the stocks. (16-17) (Defoe would be condemned to stand in pillory three times in 1703 for publishing The Shortest Way with the Dissenters). The parson and the judge pass sentence on a drunkard when they themselves had been ‘both drunk together … the night before’ (18). 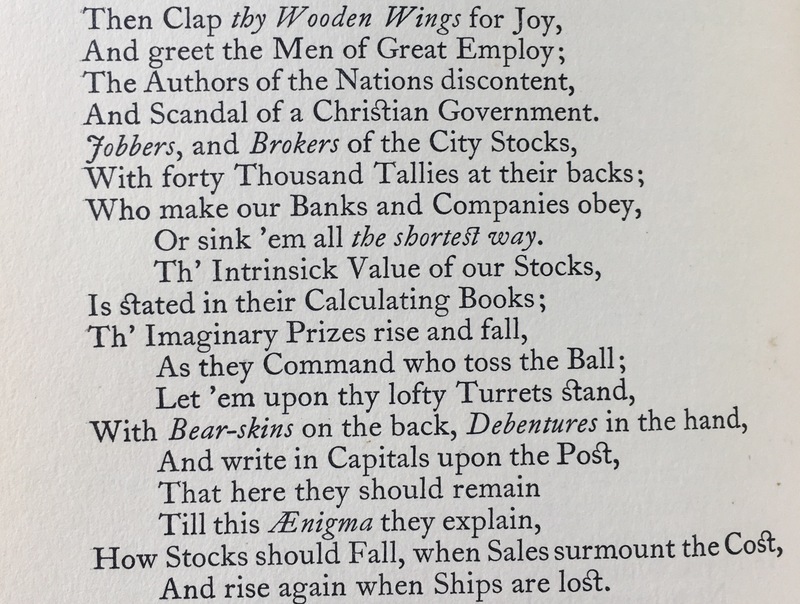 In A Hymn to the Pillory, Defoe rails against wise Vice-Chancellors, Doctors in scandal and Professors on reproach as ‘true-born English tools’ and plagiarists (140) (of course Defoe would borrow generously from others for his Robinson).